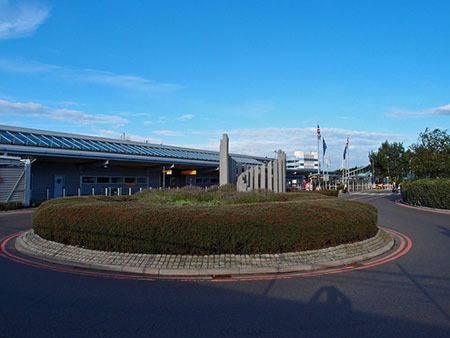 Southampton International Airport is on the coast near the eastern border of Wessex. It is actually in the town of Eastleigh. Southampton itself is a large city and port on the south coast of Hampshire Air services at the airport connect to and from a large number of destinations all over the UK and Europe. The destination list can be found here. 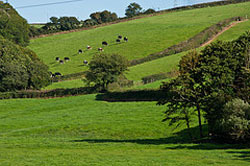 The airport has easy access by road and rail to Wessex and the rest of the country. Several airlines and tour operators use this airport. There is a link bus to city of Southampton itself. The link bus connects Southampton Airport, Southampton University, the city centre and the Waterfront. Runs every fifteen minutes and twenty minutes at the weekend. There are normally plenty of taxis available at the airport. Operated by Checker Cars. Book and pay for one at the taxi desk in the Arrivals Hall and your taxi will pick you up outside the terminal. How easy is that!!! Hire cars available. There is a dedicated car hire building and most of the most popular car hire firms are available. Or even simpler prebook your car from our car hire page before you go!!!! There are three car parks at the airport. Short stay, blue badge and priority parking are closest to the terminal and spaces can be booked. 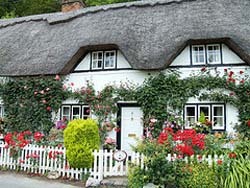 There is a prebooked long stay car park and a long stay car park. The car park map can be found here. © Copyright Colin Babb and licensed for reuse under this Creative Commons Licence. 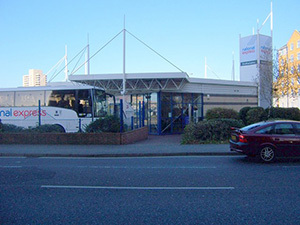 National Express coach services can be found in Southampton itself in Harbour Parade. There are connections to Southampton International Airport. Southampton airport railway station is Southampton Parkway. Just next door!!! Trains to the City Centre, the lovely Wessex cities of Winchester, Bournemouth and Portsmouth. Also trains to Reading and London Waterloo. Basingstoke, Winchester and the West. The Portsmouth road. Quite a short motorway only about 25 miles long. Runs from Cadnum to Portsmouth. Signs may say Eastleigh Airport on approach when you are coming back, this is Southampton International airport. 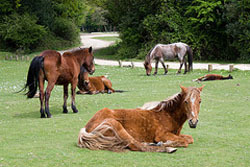 As Southampton is a large port city there is plenty of accommodation available. The airport is actually situated in Eastleigh so accommodation may be preferred there. As always though it is advisable to book. See the top of the right hand column for more information. Whatever type of accommodation you require should be available. Why not try a tour round from and back to Southampton International Airport? It is a very pleasant idea. Hire a car and take delivery at the airport. 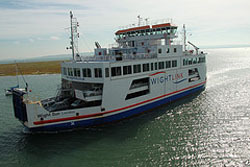 Drive to the Isle of Wight Ferry at Terminal 1 which is Dock Gate 7 off Town Quay Road. 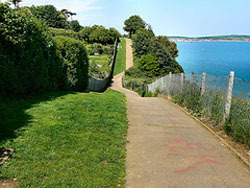 Take the car and yourselves to East Cowes for a day or two trip round the Island. Finish up at Ryde perhaps for a trip back to Portsmouth to have a look at the Historic Dockyard and onwards to the New Forest, or finish at Yarmouth for a trip back to Lymington and the New Forest that way. 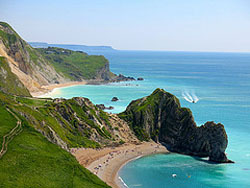 Travel over to Bournemouth and Weymouth, two delightful Dorset seaside towns. Then let the car wander along the Jurassic Coast stopping when the mood takes. Lyme Regis is the Pearl of Dorset. 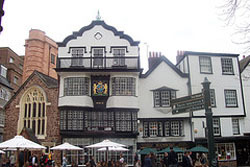 Continue over the border into Devon to visit Exeter, the English Riviera towns of Paignton, Brixham and Torquay then on to Plymouth. 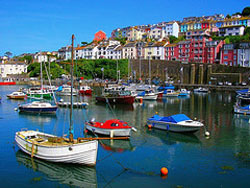 Two choices now, go on round the coast of Cornwall or travel from the south to the north of Devon through beautiful Devon farmland and Dartmoor to the delightful town of Ilfracombe. 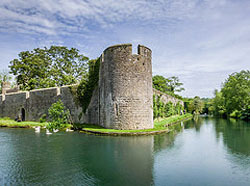 Cross the Somerset border and visit Weston Super Mare, Cheddar Gorge and Burrington Combe. On up to Bristol on the edge of the county. Come back down to Bath and Wells and Glastonbury to see if there are any UFO's or visit the Festival. Over to the city of Salisbury in Wiltshire. 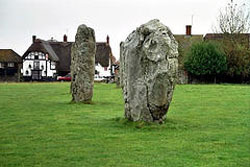 Visit Stonehenge and Avebury. 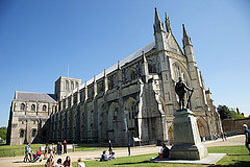 Cross back into Hampshire to the ancient city of Winchester. 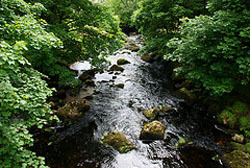 Explore the Itchen and Test Valleys, magic. 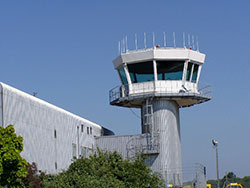 Southampton airport is only a few miles away in the south of the county. Come back again, there is so much more to see!!!! It is probable that the runway is built over a site of a Roman villa. During the First World War the United States Navy used the area. Afterwards it was a transit camp for Russian refugees. Southampton Corporation bought the land in 1932 and the site became Southampton Municipal airport. History was made at the airport when in 1936 the first test flights of the famous Spitfire Supermarine aircraft were made from here. 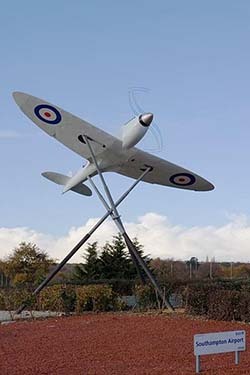 That almost life size model of a Spitfire on the approach road to Southampton airport is its commemoration. Coastal Footpath Shanklin to Sandown, Isle of Wight.